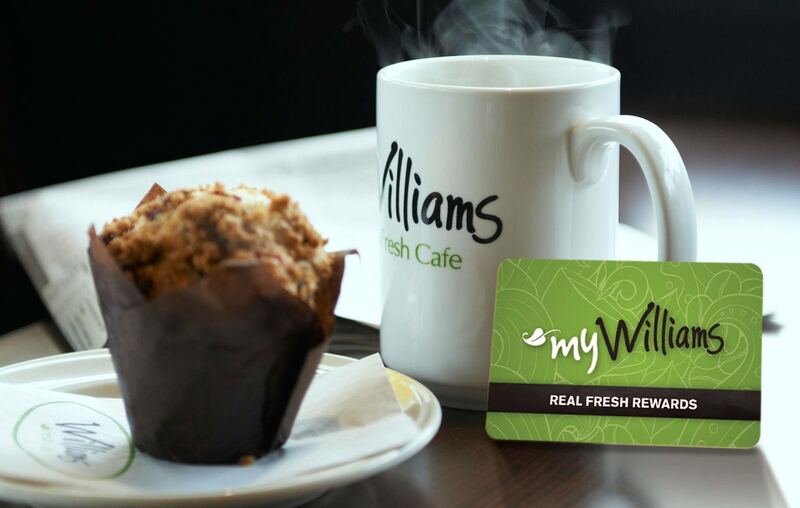 Or stop by your local Williams Fresh Cafe and pick up a myWilliams Card in person. As a member you earn 5% cash back that can be redeemed towards your next purchase or stored up for a larger treat. You will be the first to know about new locations, exclusive offers and bonus rewards. Reload your account online and pay using your phone with the mobile app. If you’ve picked up a myWilliams card in-store, you must register it online in order to redeem your rewards. Registering also allows you to protect your balance, manage your account, reload your account online, view your transaction history and gain access to exclusive offers. By downloading the mobile app you are automatically registered. For myWilliams members who joined prior to August 21st, 2016. Read the update.